Hasbro (NASDAQ: HAS), Kohl's (NYSE: KSS), and Lockheed Martin (NYSE: LMT) were among the top performers. Here's why they did so well. 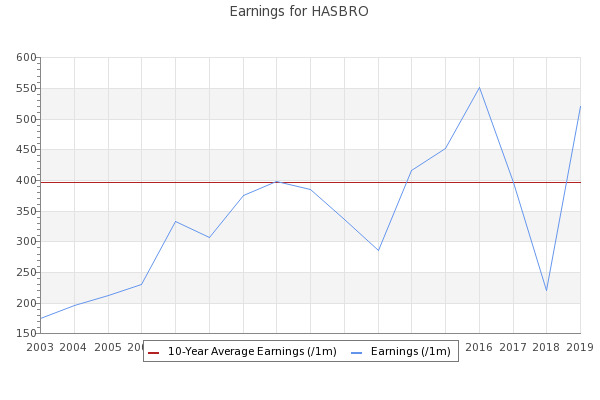 Hasbro, Inc. (NASDAQ:HAS) Q1 2019 Earnings Conference Call April 23, 2019 8:00 AM ET. Company Participants. Debbie Hancock - SVP, IR. Franchise brands revenue was up 9% during the quarter and Hasbro gaming revenue rose 2%, led by Duel Masters, Connect 4 and Twister.